Like his tech colleagues at Google, Facebook founder Mark Zuckerberg enjoyed ‘most-favored company’ status during the Obama administration. What a difference 12 months makes. Following a report by the Left-leaning Guardian over the weekend that a consulting firm called Cambridge Analytica, which was funded as a start-up by billionaire Trump supporter Robert Mercer, used a Facebook app to access and target some 50 million users during the 2016 election, Zuckerberg and his company have now come under intense fire — from the Left. Seems that social media tech is a political resource by and for the American Communist Party, a.k.a, Democrats, not those icky, conservative Trump supporters living in fly-over country. As such, the fact that Cambridge Analytica ‘was allowed’ (by Zuckerberg) to do what the Obama campaign did (and then some — with Facebook’s blessing) during his 2012 reelection campaign is a cardinal sin and considered unforgivable by the country’s ‘most tolerant’ people. So, Zuck must be punished. And regulated. And if necessary, replaced by a ‘reliable’ Left-wing only social media behemoth (as if Facebook’s ongoing censorship of conservative media isn’t enough). Calls for regulating Facebook from mostly Democratic lawmakers was followed by reports earlier this week that the Federal Trade Commission (FTC) was going to launch an investigation into whether Cambridge’s use of those 50 million Facebook users “violated a consent decree the tech company signed with the agency in 2011,” according to CNBC, via Bloomberg. 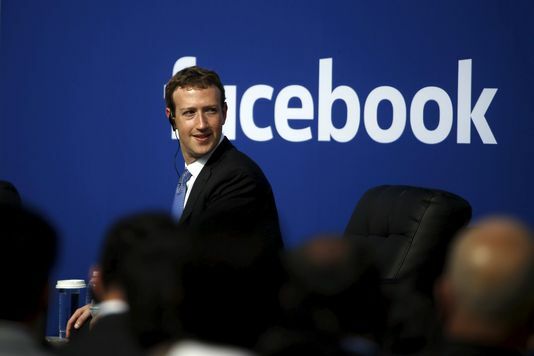 That news prompted a huge drop in the value of Facebook stock; at one point the company was out $24 billion while Zuckerberg himself had dropped $5 billion, or more than the equivalent of several states’ annual budgets. But apparently, the Obama campaign’s complete raid of data on some 190 million Facebook users was…okay? Anyway, if found to have violated the consent decree, it could mean the financial ruin of the company; CNBC reported that each violation could carry a penalty of $40,000. So, 50 million times 40,000 is…too many zeros for my calculator. That’s not all. In the here-and-now, Facebook is being savaged by Anand Giridharadas, author of the book, “Winners Take All,” who said that Zuck will go down in history as a tragic figure (and failure). “Mark Zuckerberg will go down in history as a tragic figure, and one befitting an age of billionaire savior delusions. He claimed to change the world even as he maimed his country. He pledged to rid the world of diseases while ignoring the disease he was spreading,” he tweeted. Mark Zuckerberg will go down in history as a tragic figure, and one befitting an age of billionaire savior delusions. He claimed to change the world even as he maimed his country. He pledged to rid the world of diseases while ignoring the disease he was spreading. That’s from a former New York Times and NBC News political analyst — certainly not a right-wing extremist by any measure. Two and a half years ago, when I started reporting and writing @WinnersTakeAll, people were aghast that I would take on people like Zuck who seemed to be doing so much good. Now we all know. We are living in a collective fantasy that the people who cause our problems are the best at solving them. That is how Zuck ends up being a leader of rethinking the news after eviscerating it. How he can position himself as a force for democratization while corrupting democracy. That’s a powerful condemnation from a man who didn’t seem to mind when Obama’s team was pimping Facebook for every bit of user data it could get its hands on. But the lesson here isn’t the Left’s hypocrisy; that’s already well-established. It’s that the Left has no loyalty to anyone or anything except power. Mess with that and you won’t be spared — even if you’re a billionaire founder of the Left’s social media monopoly. Don’t be fooled by fake news or social media censorship — stay informed at Censored.news.